Professional transcription providers offer easy access to specialized expertise, multilingual transcribers’ pool and innovative technologies. As a skill set demanding specialized skills, transcription has proved an exorbitant in-house venture for most organizations. Habituated transcription companies cater for sectors such as medical, legal, media, academic and others. Outsourcing helps them scale down expenditure and navigate curve balls such as time constraints with quick turnarounds. 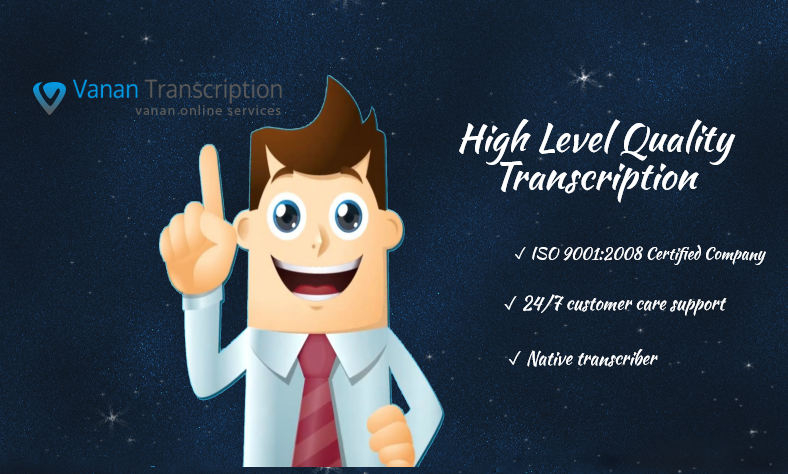 Top-level transcription giants bristle with an extensive constellation of transcribers possessing prowess and specialized skills in specific domains and dialects. In the wake of superlative recording technologies, companies no longer have to stash papers handwritten by their secretarial staff. Professional transcription completes their correspondence ensemble as a cost-efficient, seamless and customizable means of collating captured audio files as texts. Encrypted servers and stringent confidentiality policies shield client files and data. Price flexibility offered by online transcription providers allow businesses scalability to handle high volume files at affordable rates. They’ve emerged as favorite destinations for high-level standards output and economical rates dovetailing with organizational growth and expansion demands. Outsourcing makes up leeway to benefit from the varying time zone and ‘gig’ freelance workforce strewn across the globe. Discipline-specific transcriptionists have SEO advantages, makes content searchable and shareable bridging the gap to remote consumers. Thorough quality grading ensures consistency in format, terminologies and accuracy. In a fast-paced and ever-globalizing business world, companies now groan under the weight of copious data demands. Professional transcription aids in archiving data to distribute information to different recipients and abide by corporate and insolvency laws on record-keeping activities such as minutes. Transcribing recordings makes it easier to archive and retrieve voice files. Quality Transcription Services comes in handy for companies snowing under high volume workloads with guaranteed accuracy and turnaround times. Price is one of the key determinants of top-quality services as businesses crave cost-efficient means to cut back on their aggregate expenditure. Quality Transcription Rates for the fastest turnarounds times give you a leading edge due to flawlessness and unsurpassed accuracy. Accountability on the price tag gives the much-demanded predictability and certainty in the business world, transcription providers perched in the industry levy flat rates. They also allow purchasers to retrieve free price estimates and assess the costs before placing their orders. Most service providers consider factors such as the length of the file, sound quality, and technical discourse. The need for fast turnaround times and rush packages attracts additional fees. The format also impacts the overall costs. For instance, spaces sandwiched between paragraphs where there’s a single speaker increase cost per page. Conversely, transcripts with bigger margins and fonts or smaller lines each page, the total transcription costs tilt the scales in your favor from a value and readability perspective. Even when professional transcribers slog their guts out to render the most accurate accounts, recordings marred by distortions and background noises may prove a hard nut to crack. Such a transcript should reflect volume alterations, muffled sounds, and static areas. Top-ranking transcription providers have a clear-cut fixed rate calculable per minute of audio, page or hour. Some waive additional fees for time stamping, multiple speakers and speaker ID shrinking the overall price. They can attune to a specific style and format without inching costs up. Clean audio files not only help transcribers to extract text accurately but also plummets costs. A reliable transcription company charge per audio/video minute is giving you the latitude to estimate the fee beforehand. They also offer ancillary services such as translation to other languages and post-production services such as captioning and subtitling under a single roof making them convenient and cost-effective. Next Post:Why is Online Script Transcription Service Important?